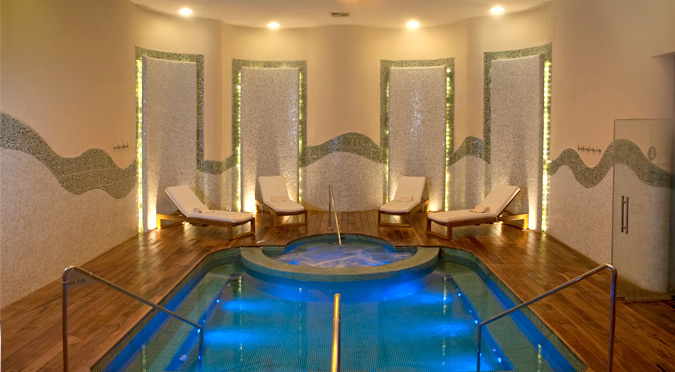 Ranked among the “Top 20 Best Spas in Mexico and Central America” by Conde Nast Traveler, the Armonia Spa at Pueblo Bonito Emerald Bay is a luxurious, 16,500-square- foot spa. Design to reflect the harmonious theme of flowing water, this lavish, full-service spa includes steam rooms with chromotherapy, vascular and reflexology hydrotherapy paths, ice fountains, bi-thermal showers, hot water pools, cold water plunges, Swiss and mist showers, Jacuzzis, and relaxation lounges. The Spa Boutique and Salon offer a variety of exclusive products and services.